Does the arrival of fall have you outdoors viewing colorful foliage while outfitted in boots and a scarf? Probably not if you live in the desert Southwest. However, my mind has been focused on these things as my daughter and her family are settling into their new home in Michigan. Collecting colorful leaves to send to Grandma (me) in Arizona. 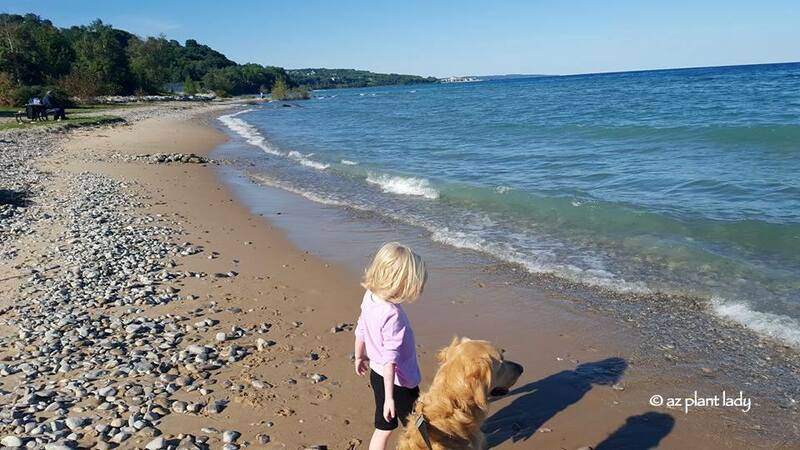 Back in early September, I shared with you that my oldest daughter and her family were moving to the tip of Michigan to a town called Petoskey. Since then, they have been exploring their new home and the large number of differences betwen their new home town compared to the Arizona one that they left. 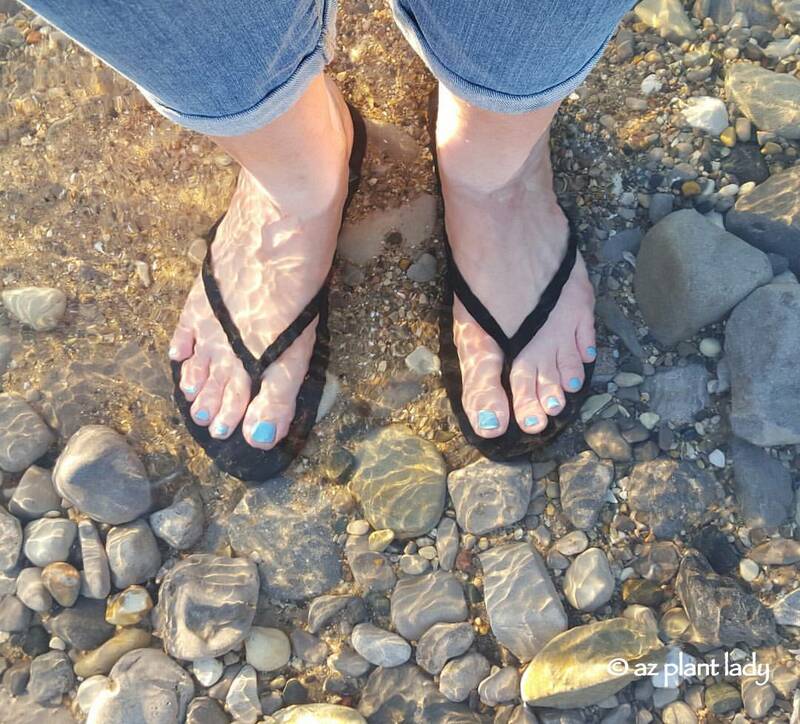 Their first few days, while waiting for the moving truck with their furniture to arrive, was spent at the beach. Being a few blocks away from water is definitely a new, yet welcome experience. 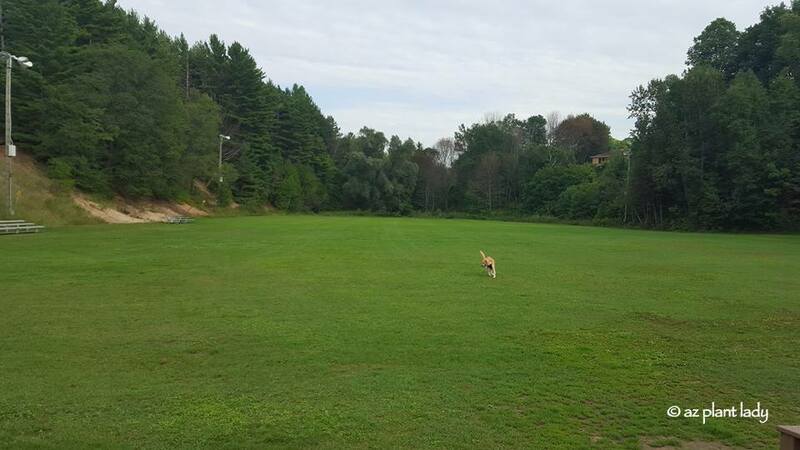 Flynn, enjoying the lush green grass. One block from their home is the Winter Park, where residents go to sled down hills and ice skate on the outdoor rink. 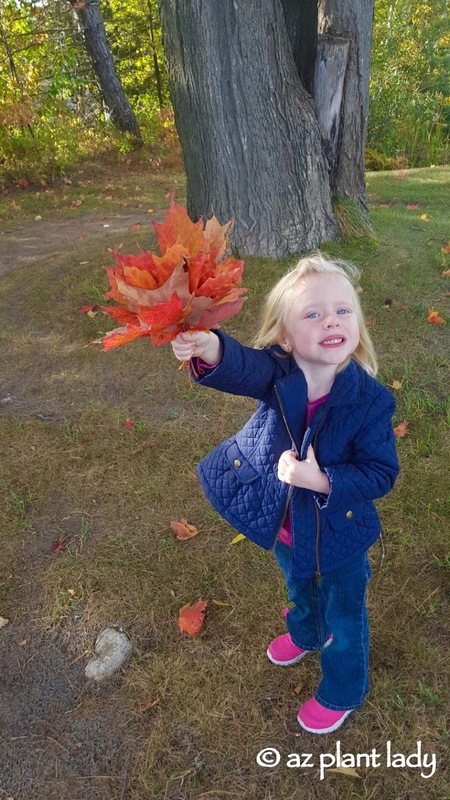 My granddaughter, Lily, found some nice flowers still growing there in early September. Now that October has arrived, there is a nip in the air and fall clothes are making an appearance. 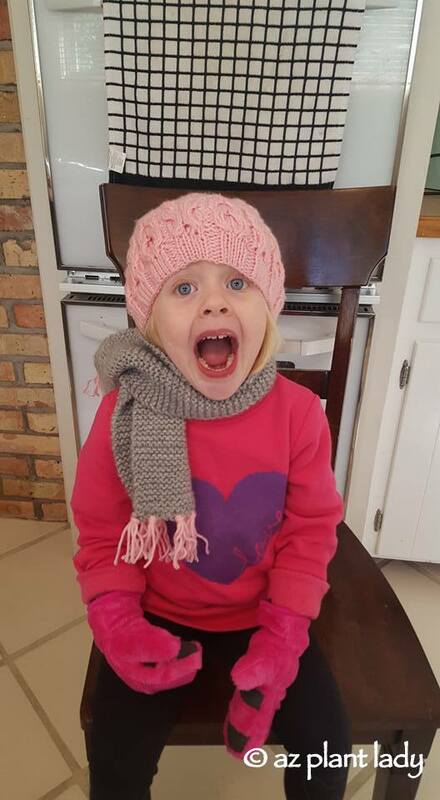 Lily was very excited to wear her new scarf that her other grandma had knitted for her. 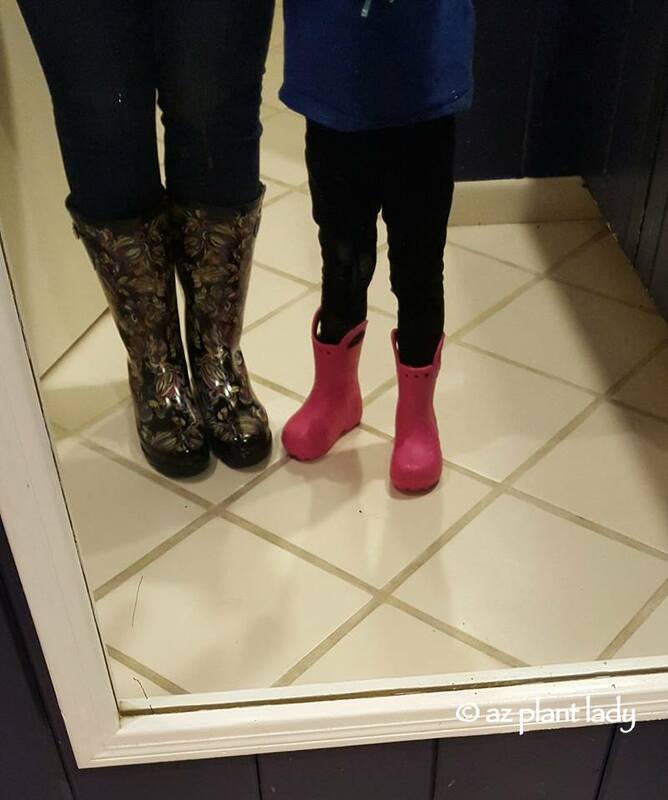 With cooler weather, rain often follows, so shopping for rain boots was necessary. In fact, shopping for a whole lot of cold-weather clothes is important for these Arizona natives. My daughter has received lots of helpful advice from fellow preschool moms on what type of clothes to get. Exploring the town of Petoskey has been a fun adventure as well including the college where my son-in-law now teaches at. On a recent outing, they went up the ski lift where they could see the turning leaves at the top of the hill. Instead of taking the ski lift back down, they hiked down the hill. Enjoying donuts at the local donut shop. 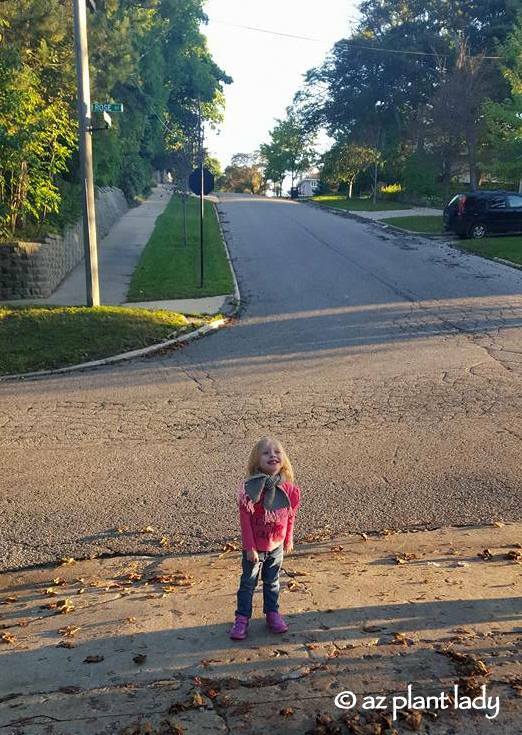 Like most young kids, Lily has embraced her new surroundings, enjoying every new adventure. My mother recently visited them and helped to decorate their new home. 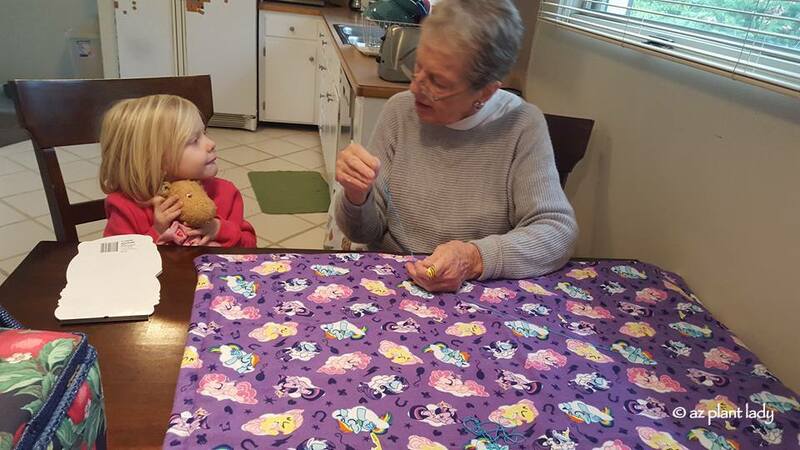 Of course, Lily’s favorite part when great-grandma made her a ‘My Little Pony’ blanket. Lily modeling her ‘My Little Pony’ Halloween outfit. We do miss them, but we stay in almost constant contact via texts, phone calls, Facebook and Skype, which helps us stay involved in their lives. Lily’s preschool class watching the local high school band practice (Lily is 3rd from the left, wearing a navy blue jacket, standing next to the teacher. Lily recently started preschool and loves it. 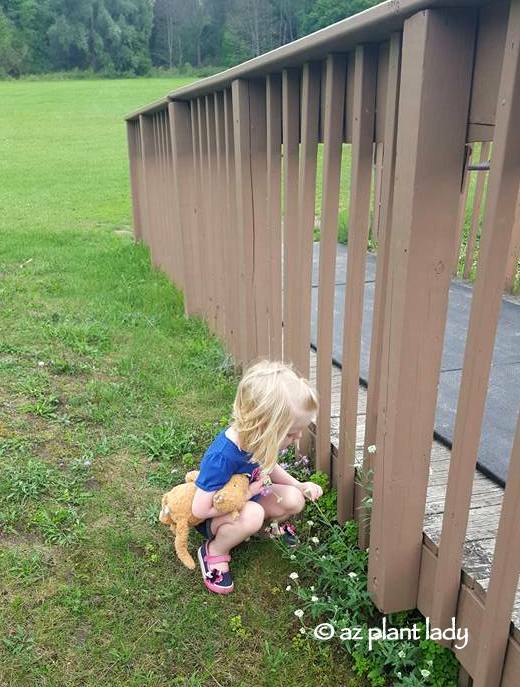 She has two best friends and looks forward to going each day. 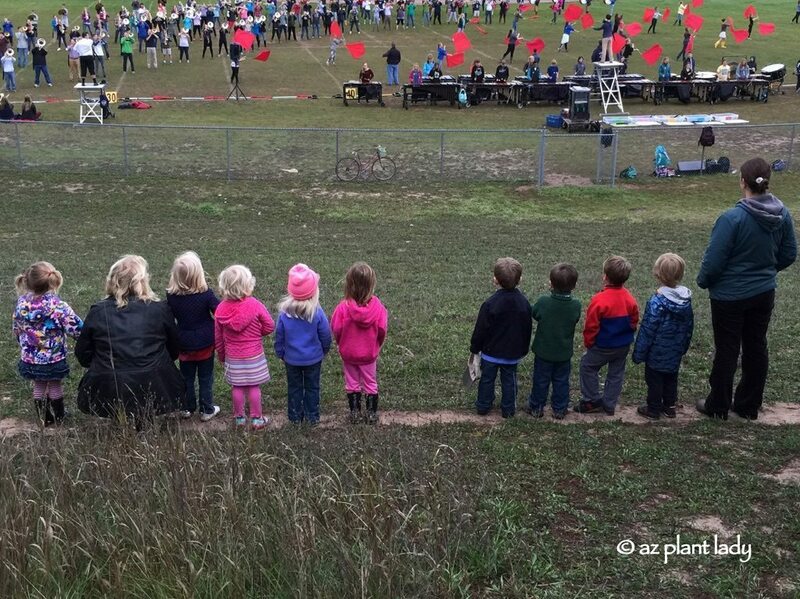 The preschool is just down the road from the local high school and recently heard the high school band practicing, so they took an impromptu field trip down the street where they could sit and watch them practice. View down the street from their house. Next month, my husband and I will fly out to visit for a few days. I am already counting down the weeks. 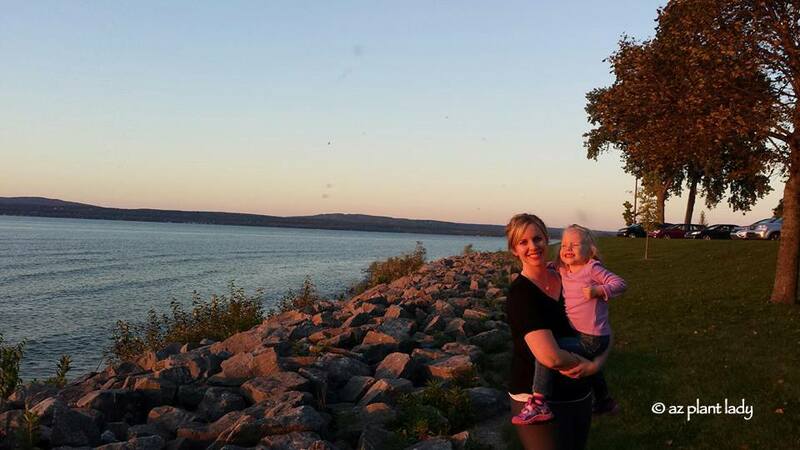 Petoskey is a picturesque, small town that is well worth visiting – I was fortunate enough to visit in summer of 2014, long before we knew that my daughter and her family would end up there. It will be cold in November when we visit, but nowhere near the frigid temps that they will experience in winter – last winter it got down to -35 degrees. I must admit that I have been living vicariously through my daughter as she is undergoing new experiences of living in a more temperate climate than this California native and now Arizona resident has ever had. Thank you for sharing. What a lovely place to live, but I couldn't handle -35. YIKES! They all look like they are enjoying their new home. Now you've gone and done it. I always get homesick for Michigan in the fall, but this post really made it worse! 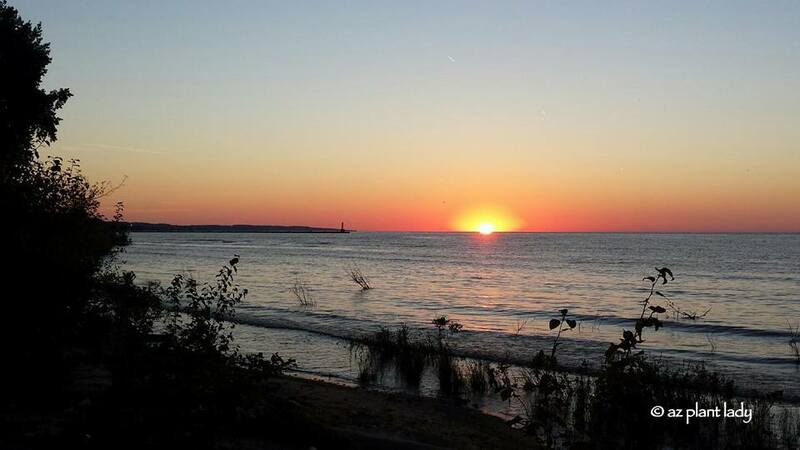 Yes, we have lovely fall foliage here too, but that crazy Lake Michigan just calls to me all the time. Your daughter and her family is lucky indeed to settle in such a charming small town. Better bundle up when you visit! 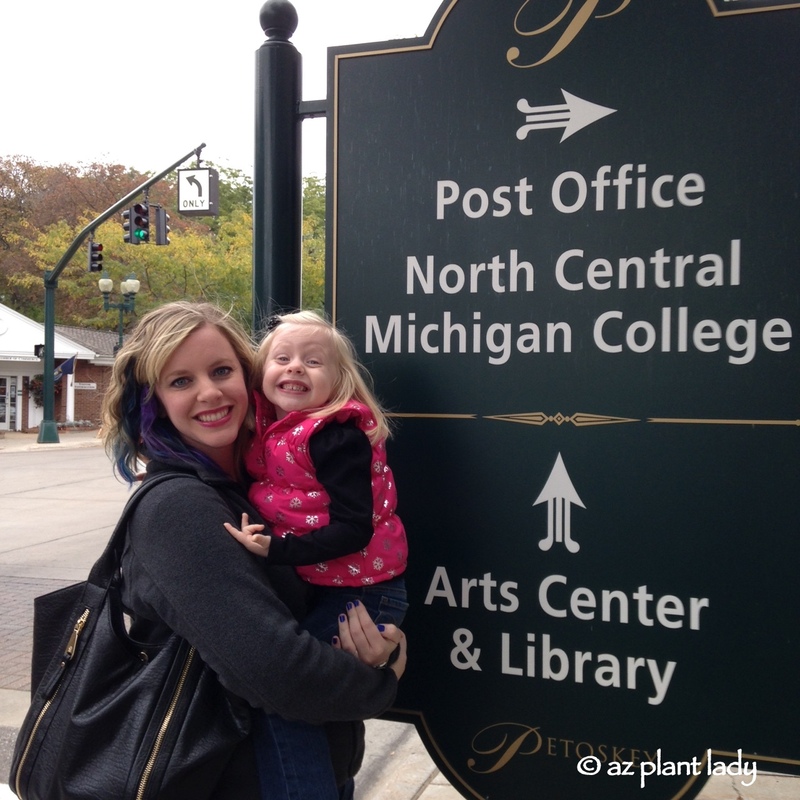 We have fallen in love with her little town and can see why so many people love Michigan! Ooooh, I'm sure you already know this, but Petoskey is known for "Petoskey rocks" found in the Sturgeon River. They are so cool. I spent a summer there when I was eleven years old, and we spent a lot of time canoeing and searching for those amazing rocks. 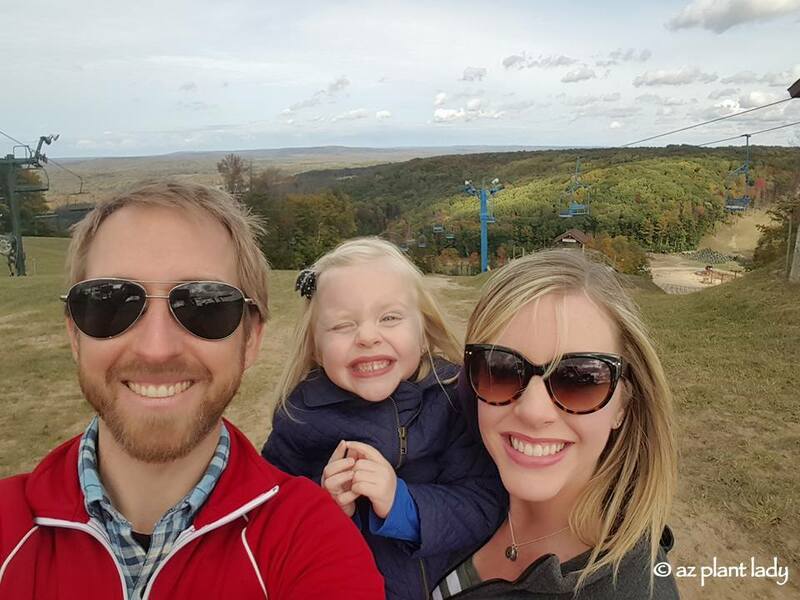 Northern Michigan is a gorgeous place – that's awesome you have a reason to visit! I can't wait to search for my own Petoskey stone when we visit next summer. My son-in-law found one when he came out to interview for his job back in July.